Did you know that 76 million baby boomers reached retirement age starting in 2011, and AARP projects that 8,000 per day will turn 65 for the next twenty years! If you are among the group of individuals looking toward an age 65 retirement you know that your healthcare options are about to change. From Social Security to Medicare coverage, the choices seem endless. While some decisions will be your choice, other options will be determined based on your situation and working status. Below are five facts about Medicare every person should understand about the Medicare enrollment process BEFORE turning 65. Share this list with someone you care about that may benefit from this information as a soon-to-be retiree. 1.) Automatic Medicare Enrollment – Are You Eligible? If you receive Social Security benefits currently, you will be automatically enrolled in Part A (the plan that covers hospital stays) and Part B (the plan that covers doctor visits and physician fees). Your Medicare coverage becomes effective in the month you turn 65. If you are not receiving Social Security benefits you will need to sign up for Medicare following the standard time frame. Medicare enrollment eligibility is open for a total of seven months, three months prior to your 65th birthday, the month of your birthday and three months after your 65th birthday. This gives plenty of time to make Medicare plan selections but sooner is better than later. Getting enrolled as early as possible will ensure that the coverage becomes effective when you turn 65 and you don’t experience unnecessary delays should you need access to your coverage right away. Did you know that missing the Medicare enrollment window can trigger financial penalties? Unless you have a health insurance plan through work or as part of a union it is important to get enrolled in Medicare Part B during your initial enrollment period. Financial penalties may apply if you delay this process too long. If your current health plan doesn’t pay as primary you may still have an obligation to sign up for Medicare upon turning 65. Check with your employer to see how your current plan pays when deciding whether to delay your Part B enrollment. It is generally recommended to enroll in Part A upon turning 65 regardless of other coverage. Penalties for not enrolling in Part B timely include a 10% increase in Part B premium for each 12 month period you were eligible for it but did not enroll. This premium increase is a penalty for the life of the policy and will be added to the Part B premium for every year going forward. The Annual Enrollment Period for Medicare coverage changes run from October 15th through December 7th each year. During this period of time certain parts of your Medicare coverage can be reviewed or changed. This includes Medicare Advantage Plans and Medicare Part D Plans (which provides coverage for prescription medication). It is important to have your Medicare plan reviewed annually by a licensed professional to ensure that the coverage you have still makes sense for your stage of life. Since pricing can also change, the Annual Enrollment Period is a great time to see if there is a more affordable Medicare option with the same coverage. Enrolling in Medicare can be a difficult process due to the many options, timelines and uncertainty about your future healthcare needs. Do you need someone to walk you through the different Medicare options and help you make the right decision for you? At Senior Connection we have been helping seniors just like you navigate the Medicare enrollment process for over 25 years! We are experts in Medicare insurance plans and are committed to meeting with you and answering questions about your Medicare options. You can feel confident about your Medicare and Life insurance coverage in your retirement years and we can help! We understand that you are inundated with offers in your mailbox. Let us help you cut through the clutter with a personalized conversation about your healthcare needs without all the hassle. There is never a charge for meeting with us. As your partner in retirement we will help you through this process every step of the way! 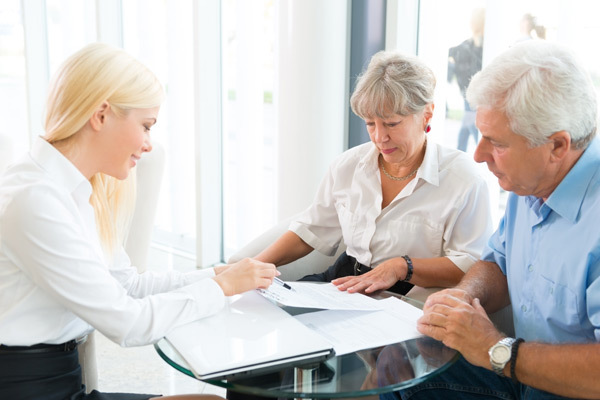 Call us today at 800-258-7610 to setup your free consultation with Senior Connection. Regain your peace of mind knowing you have the right Medicare coverage. Did you find these facts about Medicare helpful? If so, be sure to share them with a friend! Our experience with Senior Connection and with Phil Walters has been a God send. Phil has made our lives much easier and he does not stop until we completely understand. We have referred several people to Senior Connection.